Wellness and weight loss programs that target adults may come decades too late. Secrets to curbing the obesity epidemic and reversing skyrocketing diabetes rates may be hidden in the womb. Ironically, babies starved of nutrients for a variety of reasons in utero may grow up to have defective metabolic and organ systems that crave calories and can cause obesity, diabetes and high blood pressure. This phenomenon is called fetal programming and once encoded in the genes, these metabolic malfunctions can carry forward to future generations. Understanding and preventing uterine growth problems which then may cause chronic illnesses in adulthood is the central focus of research now. Thats the million-dollar question, said Dr. Laura Brown, a pediatrician and assistant professor with a sub-specialty in neonatology. She cares for preemies in the neonatal intensive care unit at University of Colorado Hospital and the Colorado Institute of Maternal Fetal Medicine at Childrens Hospital Colorado. 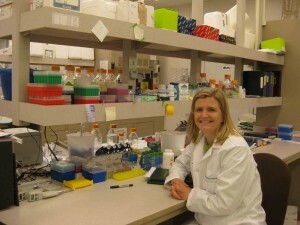 She conducts her research at the CU Anschutz Medical Campus. What a lot of people are working on is why this happens. Why does the fetus that doesnt get enough nutrients in utero maintain these long-lasting effects? The question is critical since both obesity and diabetes rates are rising at a fast clip. And Colorado has long struggled with a disproportionate number of babies born at low birth weights. Colorado ranks 37th in the country with nearly 9 percent of babies born at low birth weight, defined as less than 5.5 pounds, according to the just-released 2012 Colorado Health Report Card. Some of these babies were growing well in utero but were born premature and therefore small. Other fetuses were not growing properly in the womb. Once born, these are the infants who face higher risks for later-life obesity and diabetes. The problem of low birth-weight babies is especially profound in the African American community. Among blacks in Colorado, 13.6 percent of infants are born at low birth weights. According to the Colorado Health Foundations Report Card, one in five low-weight births can be attributed to mothers who do not gain enough weight or who smoke during pregnancy. Too many babies in Colorado are born too soon and too small. The causes are complex. An increasing number of twins and multiples, along with high altitude and other complications contribute to the problem. Low birth weight newborns are often sick and therefore costly. But now scientists are looking far beyond the early months. as they link low birth weight to health problems later in life, including both child and adult obesity. While a raft of new wellness programs targeting adults is vital to driving down obesity and diabetes rates, researchers are trying to trace these chronic health problems to their origins. We have to continue to encourage healthy living especially since we dont know how to intervene early on, Brown said. But she said researchers, policymakers and doctors must frame questions in new ways. Why is this person struggling with diabetes? It could have a lot to do with how they grew in utero. Brown said one of the most common causes of low birth weight babies is a condition called Intrauterine Growth Restriction (IUGR). Some babies are born early for other reasons and while they are small, they are appropriate in size for their gestational age. IUGR babies, on the other hand, are disproportionately small for their gestational age. In 2011, according to the most recent data from the Colorado Department of Public Health and Environment, nearly 10 percent of babies were classified as SGA or small for their gestational age the measure that corresponds with IUGR babies. IUGR is one of the most common disorders in fetal growth, Brown said. The babies are at risk in utero and can die if they are not delivered on time. They do not get enough nutrients from the placenta, Brown said. Health providers are getting much better at identifying pregnant moms at risk of having an IUGR baby as long as the mom is getting prenatal care. They usually are measuring small. Then we get an ultrasound, Brown said. Laura Kent had two IUGR babies. Meghan is now 13 and Duncan is 9. 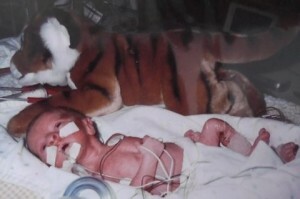 Both are healthy now, but weighed just over 2 pounds each and were born 8 weeks early. The cause of their uterine growth problems remains a mystery. Sometimes, moms have health issues themselves such as high blood pressure or pre-existing diabetes. Or sometimes an infection or an inherent genetic problem can cause IUGR. About half the time, a healthy mom appears to be having a normal pregnancy and the cause of IUGR is a mystery. Thats what happened to Laura Kent and her husband, Rob MacLaren of Denver. Twice. Everything was normal, Kent recalled of her pregnancy with her daughter, Meghan, whos now 13. 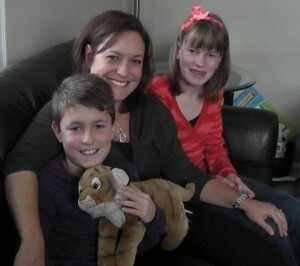 The couple went in for their 32-week appointment and Kents doctors rushed her in to an emergency delivery. The baby is under stress and not measuring well. The baby needs to be delivered right away, Kent recalls her doctors telling her. 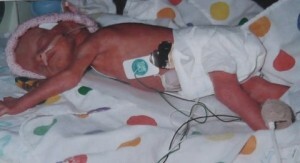 Born eight weeks early, Meghan weighed just 2 pounds 14 ounces. Kent had never heard of IUGR, but soon learned that for some inexplicable reason, Meghan had not been absorbing nutrients well. Premature girls often do better than boys and fortunately, Meghan was a fighter. She was feisty as all get out, Kent recalled. Meghan spent five weeks in the NICU and came home weighing just 4 pounds. 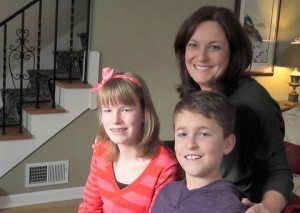 When Kent had her second child, she knew shed have a high-risk pregnancy, but she hoped to avoid having a second IUGR baby. Unfortunately Duncan, who is now 9, also began to struggle in utero. Doctors put Kent on bed rest and tried to delay the birth as long as possible. Kent hoped to make it past 32 weeks. But, Duncan entered the world slightly earlier than his sister. They get to the point where their heart rate is irregular and they wont grow any more in utero, Kent recalled. Duncan was slightly smaller than his sister: 2 pounds, 12 ounces. He had more breathing issues. That can be typical of boys, Kent said. She struggled to breastfeed her babies but both were so weak that they had trouble staying awake and gathering the strength to breastfeed. Kent, who had no underlying health problems or history of low birth weight in her family, had imagined perfectly healthy pregnancies, full-term deliveries and easy breastfeeding. Instead, she pumped her milk for a year for each of her babies and spent countless hours tearfully wondering why she had not one, but two preemies. Today the children are healthy, bright, active and fit. Worries about obesity or diabetes seem irrelevant. Its so ironic. Although my kids did pack on the weight as babies, theyve never been above the 25th or 30th percentile, Kent says. We dont know what will happen later in life. Its interesting to me and it kind of makes sense that the part of the brain that controls weight can be off balance. Duncan MacLaren with the stuffed tiger that used to be bigger than he was. Sitting next to him are his mom, Laura Kent and sister Meghan MacLaren. Memories of those early years are distant enough now that Kent has recovered from the trauma. But, she says, There are no real answers. I still dont understand why my placenta malfunctioned. This kind of thing doesnt usually happen twice. I always wanted to understand why this happened. Her hope for her children is that they will remain healthy and active and will avoid any health challenges as adults. For now, there is no treatment for IUGR, Brown said. In her lab at CU, Brown and her colleagues are looking for ways to improve the growth either during pregnancy or during the neonatal period. Theyre trying to determine if changes that affect brain satiety and muscle and organ development and growth can be reversed in the earliest months of a babys life. How does the fetus adapt to low nutrient supply? Is it already too late by the time a baby is born? Or can we intervene? Brown said. People think that there are programmed adaptations. The fetus doesnt get enough nutrients and slows its growth. The fetus becomes thrifty, if you will. They only use what they need to survive. In general, a starved fetus preserves brain growth, but organ and muscle growth is compromised, Brown said. Often IUGR babies are born with full-sized heads and skinny bodies. We think theyre only using what they need. Then those changes become programmed, Brown said. Those dont go away and when the baby is born and gets all the nutrients it wants, we think the organ systems dont have the capacity to use all those nutrients like they should. Brown is particularly interested in muscle growth. Scientists have learned, for instance, that the number of muscle fibers is set when youre born. These babies are born small and thin, she said. Even when they got lots of nutrients, this muscle never catches up. One of my hypotheses is that muscle cant grow to its potential. So the body lays down fat instead. The bodys ability to use glucose also may be compromised into adulthood and for generations to come, leading to multi-generational diabetes. Their muscles may be programmed not to use the glucose. The pancreas that makes insulin is also severely affected by IUGR. It doesnt compensate and produce enough insulin and the liver probably plays in quite a bit as well. It may be that the liver makes too much glucose. Brown said animal studies show that the effects pass from generation to generation. Researchers began to pinpoint the connection between fetal deprivation and later-life health problems in the 1990s. They started studying adults whose mothers had faced starvation during pregnancy. For instance, epidemiologists studied people born during the Dutch Hunger Winter from 1944 to 1945 and found links between maternal starvation, low infant birth weight and higher levels later of obesity, insulin resistance, hypertension and coronary heart disease. Another study of men and women born in Hertfordshire, England between 1911 and 1930 found links between low birth weight and later increased risk of death from cardiovascular disease and stroke. While Brown says the problem is bleak and the solutions are complex, shes pleased that researchers are now focusing on fetal growth. One of her most exciting findings focuses on trying to find ways to improve nutrition for the growing fetus. Were experimenting with giving extra nutrients during pregnancy and at birth. Were good at making babies in the NICU fat, but we would like to help them grow their muscle too, she said. The dilemma is how to have nutrients enrich organs and be absorbed properly. Browns hunch is that the programming is set very early in the womb and that interventions someday could focus on tiny fetuses. Changing the ways babies are genetically wired could have far greater impacts than later-life interventions. Its hard to change lifestyles. My argument would be that interventions early in development before that predisposition (to later health problems) is ever even put into place would help people enter adulthood with lower risks, Brown said. Were at the stage of trying to figure out whats wrong. You have to know that before you can even think about a treatment.